Volvo 88890300 Vocom Interface With PTT latest Software version is 2.04.75 now. 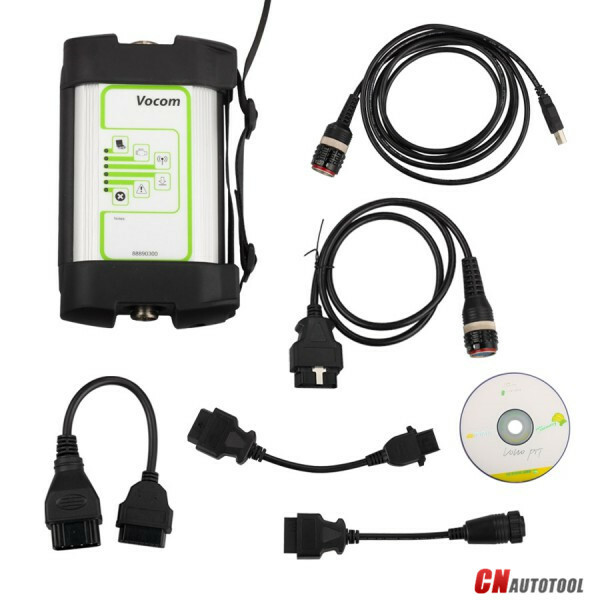 If you have purchased the vocom interface full set from us before and now want to update the ppt software to the latest, you can purchase Volvo/Renault/MACK PTT 2.04.75 from CnAutotool.com seperately. It will preinstalled in 500GB New Sata HDD. FOB price is only 229USD. It can work with Win 7 32 bits system. Volvo 88890300 Vocom Interface is a diagnostics application that covers the whole repair process through the use of plug-ins. With Volvo 88890300 Vocom Interface you can diagnose, test, calibrate, and program a product. A product could be a vehicle, engine, or a machine. Volvo 88890300 Vocom Interface at OBD2TOOL also provide functions for updating the tool, communication with the product, and other external applications. The set of plug-ins, user authorizations, and available languages is adjustable to provide every user with what they need. Volvo Vocom 88890300 Communication Interface is the best volvo truck diagnostic tool. If you work in a Volvo company or volvo repair shop or for your own volvo truck, please buy one to test, You won’t be disappointed.